Republican presidential nominee Mitt Romney delivers his concession speech during his election night rally in Boston. Those who have been through defeat advise getting rest and spending time with family. After two years as a star on the world stage with dogged confidence that he would win, the curtain call on Gov. Mitt Romney’s six-year quest for the presidency is a loss few of us can fathom. Defeat has a deeply personal impact on candidates, who, a scrutinizing public can often forget, are actual people with families and feelings. Romney didn’t lose by a landslide, but that can provide him little comfort. George McGovern, the Democratic candidate who lost to Richard Nixon in 1972, was asked in a 2005 interview how long it took him to recover from the disappointment. “You never fully get over it,” he responded. “But I’ve had a good life. I’ve enjoyed myself 90 percent of the time.” The exchange made its way into his obituary last month. One consequence for candidates, particularly challengers, is the worry that they’ll fade into obscurity. “It’s a tough pill to swallow when the phone just doesn’t ring anymore,” said Renshon. Former Massachusetts Gov. Michael Dukakis, a man whose name has become synonymous with loss (so much so that some Romney detractors labeled him the Dukakis of this election), after being defeated by a landslide for the presidency in 1988, says he’s since made peace with it, but was long haunted by his campaign missteps. He still asserts that he could have won against George H.W. Bush if he had responded to the famous Willie Horton attack ads that painted him as soft on crime. 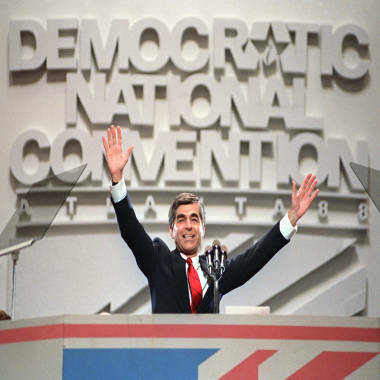 1988 presidential candidate Michael Dukakis waves to a cheering audience. While he thinks about mistakes he made, he says he's made peace with being defeated. “I made a big mistake,” he told TODAY.com. “But ultimately, you can’t dwell on that. “I didn’t have a lot of time to feel sorry for myself,” Dukakis, now a professor at Northeastern University in Boston, said of having to finish out his term as governor during a tough recession. And he stressed the importance of his family’s support. “My wife was absolutely critical — I never could have done it without her,” he said in reference to the campaign and the defeat. Romney will turn to his family for solace as well. No matter the issues in their marriage, much of his comeback was owed to his wife Hillary, who got him focused and reorganized to campaign and win the position back in 1982 and eventually head to the presidency in 1992. In general, said Renshon, relationships can become stronger. “What happens when people go through this high tension, they bond together — it almost reminds me of Stockholm syndrome,” he explained. Tipper Gore helped her husband through the tough times after defeat, and he went on to focus on environmental issues, winning a Nobel Peace Prize for his efforts in 2007. While the couple survived the storm, they divorced 10 years later. Spouses can and do serve as a source of strength, but how does defeat affect them? That sentiment is a common one, and, can lead family members to feel an odd sense of relief after election day. The daughter of George W. Bush and granddaughter of George H.W. Bush shares a few of her memories from her father and grandfather's presidential campaigns and White House terms, saying election night is "hard" on candidates and their families. Then there are the 24 members of the 112th Congress who lost their seats Tuesday. With no time to lick their wounds, they must go back and finish their lame duck session — in a basement. Because their offices need to be prepared for new members, they turn in their keys and are moved into a cubicle in a cafeteria, where they’ll serve the remainder of their term. Weichlein’s organization runs a “Life After Congress” program, connecting members with other former congressmen to help them get through the emotional and logistical transition — which, like any job loss, involves establishing healthcare, deciding whether to move their families and finding work. These candidates now also feel responsible for the fate of their staff, which is often comprised of bright, idealistic young people who were hoping to jump-start their careers. Marking her grandfather's 88th birthday, TODAY's Jenna Bush Hager interviews the nation's 41st president, who admits it was painful to lose his bid for a second term in the White House. Patrick Murray, a congressional candidate who ran in 2010 and again this year against Democrat Jim Moran in Northern Virginia, told TODAY.com that after his first loss, he entered a recovery stage. He had spent months on his feet for hours at a time, eating unhealthy food on the run, with little time to exercise. The week after his loss, he rested. “It was just trying to get some sleep really,” he said. Murray lost this year's bid as well on Tuesday. Others feel a sense of relief that the ride is over, and, like Gore, use the time to explore other passions. “Yes, it’s disappointing, but it’s like a bad tooth being pulled out. There’s a hole there, but at least you don’t feel the pain anymore,” said Mumpower, who is now a conservative columnist in Asheville, N.C.
Dukakis found his passion in encouraging young people to get involved in public service, and lent his support to the successful campaigns of Massachusetts Gov. Deval Patrick and U.S. Senator Elizabeth Warren. NBC’s Peter Alexander reported Tuesday night that Romney told him he plans to “return to a very special life surrounded by loved ones,” and that’s exactly what Dukakis says he should do. “Try to decompress, spend lots of time with family and think about what you’re going to do with the rest of your life after taking a few months to figure it out,” he said. 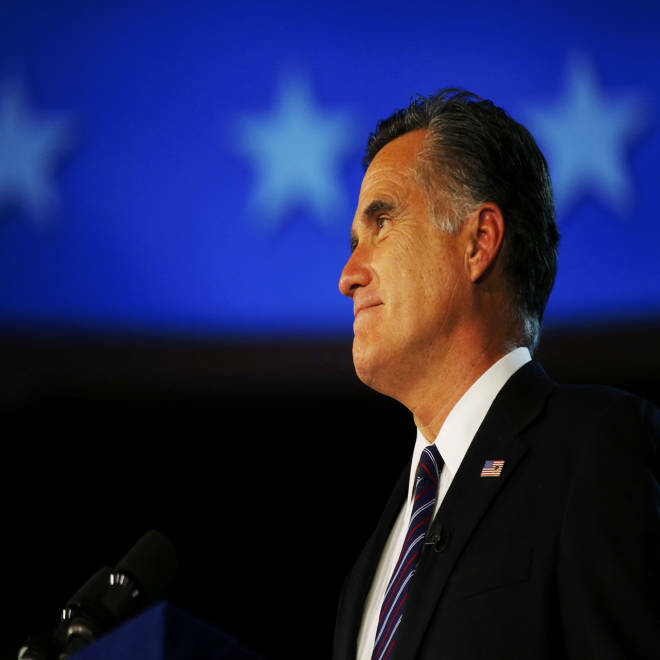 “Romney is relatively young and bright; he should get involved in things he cares about. Eun Kyung Kim contributed to this report.